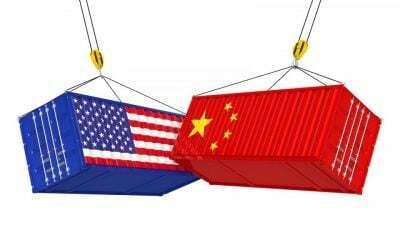 Of course, if the trade war is prolonged and escalates, it may generate consequences that will go beyond trade. There may be serious implications for global politics and security. It is doubtful if the world will allow this to happen. A more urgent challenge to ASEAN and Asia is the forging of alliances and the emergence of re-alignments which will undoubtedly increase distrust and suspicion between states leading to tension and friction. On the sidelines of the Singapore Summit for instance the grouping known as the “Quad” consisting of the US, Australia, Japan and India met to re-affirm its “shared commitment to maintain and strengthen a rules-based order in the Indo-Pacific in which all nations are sovereign, strong and prosperous.” Right from the outset, the Quad’s gestures and postures have been interpreted as directed against what is perceived as China’s growing power. Two of the members of Quad, the US and Australia, are now joining forces to develop a new naval base in Papua New Guinea. All three nations, it is said, will protect sovereignty and maritime rights in the Pacific Islands. Once again, it is the so-called “Chinese threat” that is the motive behind this military move. It is fortunate that no ASEAN state has been overtly drawn into these new alignments and alliances. If ASEAN does not want to be turned into a cockpit of conflict between a declining superpower and an emerging global power, it should endeavour to preserve its independence at all costs while striving to maintain good relations with China on the one hand and the US on the other. In this regard, ASEAN should be guided by a Declaration from the past adopted by five of its member-states in 1971 in Kuala Lumpur. The time has come to give concrete meaning to ZOPFAN. Apart from ensuring that ASEAN is not torn asunder by competing military alliances, the 10 member states should reject the establishment of foreign military bases in the region. It should also take a position against the deployment of warships in ASEAN waters — a point that was lucidly articulated by Malaysian Prime Minister, Dr Mahathir Mohamad, recently. As he put it, the US’s Seventh Fleet should not be sent to the area. At the same time, freedom of navigation and non-interference with flights should be guaranteed. If ZOPFAN should be given a fresh thrust, ASEAN should also urge China to expedite the formulation of a Code of Conduct that would govern its relations with ASEAN states on disputes pertaining to the South China Sea. The exercise has taken quite a while. It is in China’s own interest to forego its claim over almost 80% of the resource rich, strategically critical Sea — a claim which infringes upon the sovereign rights of a number of its neighbours. For ASEAN to assert its rights, it should enhance its internal cohesion and unity. On its relations with China or the US or any other major power, ASEAN should as far as possible speak with one voice. It has to evolve a shared understanding, a common perspective, on how it views its own identity and personality vis-à-vis other states and regions. The people of ASEAN should have a common vision of the region’s destiny. In developing a shared vision of itself and its future, ASEAN should harness the energies of all its citizens. It has to become — in that hackneyed cliché — a people’s grouping, not an elite entity. Only when ASEAN is rooted in the hearts and minds of its 670 million citizens will it be a resilient force capable of withstanding the pulls and pressures of power. Dr Chandra Muzaffar is the President of the International Movement for a Just World (JUST), Malaysia. He is a Research Associate of the Centre for Research on Globalization.